Happy Monday everyone! I hope you all had an amazing weekend! I had these two lovely ladies over for the weekend and decided to film a video! I've been wanting to start a YoutTube series called The Prosecco Sessions for quite some time and start talking about different topics instead of always doing hauls and vlogs on my channel. 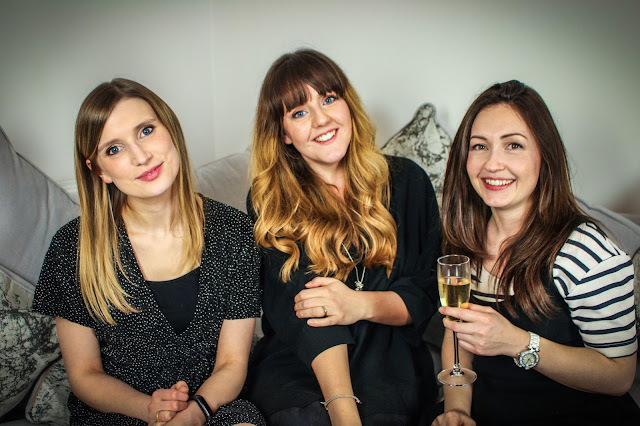 The first episode is with Pippa and Laura- both wonderful bloggers and friends of mine and we're talking all about internet dating! We cover our experiences good and bad and have a giggle over some of the more amusing/disastrous dates we've encountered! Anyway I really hope you enjoy the video and if there's topics you'd be interested to see covered then let me know! Have the best week and I'll be back with a post later this week. Big love!